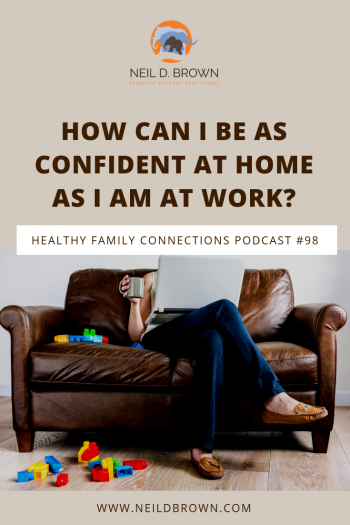 How Can I Be As Confident At Home As I Am At Work? Would you like a tool that will help you be as resilient and confident in your roles as parent and partner as you are in your work life? Today we’re hearing from Claire from Topeka KA. Claire writes. In the episode “How Do I Not Take This Personally?” you talked about shifting from our OS 1 to OS 2. I’m having a really hard time doing that. My parents divorced when I was 3 and they both remarried and had children with their new partners. I was the odd one out in both families. I think I was a reminder of their bad marriage, which they’d rather forget. I swore I would never let my children feel unloved and unwanted like I felt. Now, when my kids or husband are upset with me, I go into a tailspin and can’t access the tools you give us. I’m highly respected at work for my attention to detail and my working relationships, so I know I have a strong OS 2. But at home, it’s another story. I’d like to be as confident at home as I am at work. What advice can you offer me? Thanks for your question, Claire. It is one question I’m sure many folks have. It sounds so simple, right? Switch from your OS 1 to OS 2! There you go, no muss no fuss. But the truth is, it is anything but easy. Just to get folks up to date who may not have listened to the previous episode, I’ll briefly explain the OS 1, OS 2 concept. 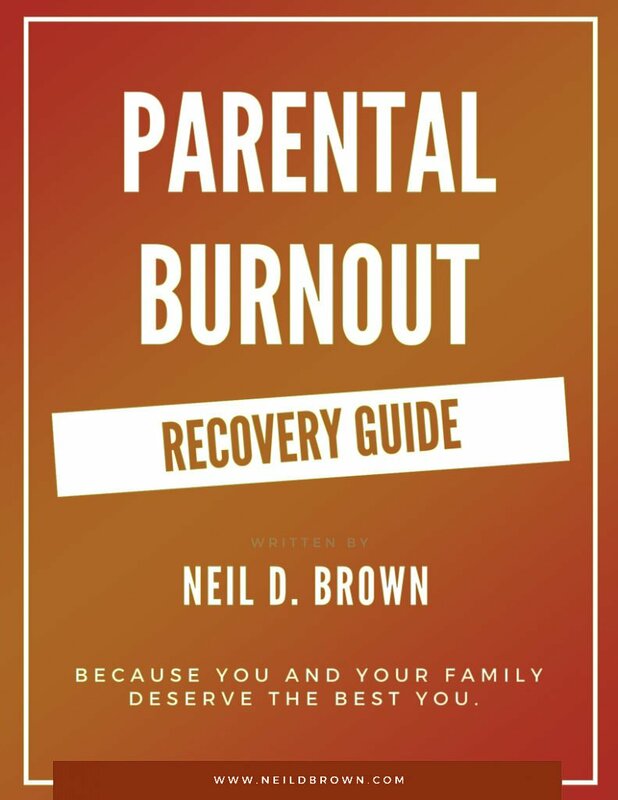 In other words, when our parents validate our feelings and our emotional needs, we feel confident that our feelings and needs are important and we are important. Conversely, when our feelings and needs are not validated and are not met, we will conclude that they aren’t important and therefore, we aren’t important. There are other elements that influence our ideas about ourselves as well, for instance, our school experiences, our neighborhood experiences, siblings, extended family, etc. But parents are primary. So in Claire’s case, she grew up feeling that she is isn’t as worthy as her half brothers and sisters; that she isn’t as important or special. Now obviously, none of this was her fault, Claire didn’t do anything wrong, but here she is feeling what we call shame, that there is something inherently wrong or unworthy about her. This is what I call her OS 1 or the operating system that was loaded on her metaphorical computer. Now she’s a well-functioning adult and has learned to manage situations in the world quite well, but when faced with her children’s or her husband’s negative feelings towards her, it plugs into those feelings of unworthiness and she responds as a hurt child might. Another way of saying that is that she responds from her OS 1 operating system. What I encourage folks whose childhood experiences are still haunting them and interfering with their ability to manage their intimate relationships in a healthy resilient way, is to see their OS 1 for what it is. It is the way they were treated, not who they are, and they should differentiate it from their OS 2. Their OS 2 is the operating system they use in the world that is competent and self-assured. Now Claire feels essentially unworthy in her family and has a hard time not taking things personally. She then reacts in ways that aren’t productive. How many of us can relate to Claire’s experience to one degree or another? I sure can. Even today I can get back into my defensive childhood responses designed to protect myself against feelings of unworthiness. So Claire, let’s see what we can do here. You’ve taken the first step, which is to realize that you are important, that there is nothing you need to feel ashamed of. The way you were treated wasn’t about you, it was about your circumstances. The way you were treated was unjust and made a perfectly wonderful little girl, feel bad about herself. Step two is to realize that the adult in you is not the mistreated little girl. You are a thoughtful, intelligent, competent, loving, loveable, empathetic, compassionate woman. And you demonstrate that all day every day in a thousand ways. Step three is to have the healthy adult you, support and help heal the hurt little girl. When we do this, two things happen; we strengthen the adult self and heal the child self. Now Claire, I don’t want to lead you to believe that what I’m about to show you will fix everything. It won’t. But it is a great exercise to help you take a step forward. Maybe a giant step, maybe a baby step, but it will be a step in the right direction. Sit down in a comfortable chair and get your body in a neutral position; comfortable but not slouched or leaning back. Close your eyes and imagine that a little girl comes into the room with you and you know that she is being mistreated, in much the same way you were. She is feeling unwanted and that there is something inherently wrong with her and she feels unworthy. How would you feel towards her? Of course, you’d feel empathy and you would see her as a mistreated perfectly loveable special little girl, right? Take a moment and share that with her and notice how easy it is to offer your care to this little girl. Let the little girl be you as a little girl and have that little girl in the room with you. She needs your help, what could you say to her? How about this: Let’s just say your little girl is about six years old. Claire, thanks for coming to visit me. I know it must feel awkward, and that’s understandable, and I’m still glad you’re here. I know that you feel as though you aren’t wanted or loved as much as your half brothers and sisters and that maybe you just aren’t as special or important as they are. And that feels terrible and makes you feel really sad and bad about yourself. But Claire, it isn’t true that there is something wrong with you. There is nothing wrong with you. You are a perfectly wonderful and special little girl; just as wonderful and deserving and special as any other little girl, even your sisters. You aren’t always treated that way by your mom and dad, and maybe particularly by your stepmom and stepdad, but that doesn’t change anything. The truth is the truth and you are wonderful and deserve all the love and support you need and even a little more. I know this may be confusing because it is new for you, but it’s the truth. So it’s okay if it’s confusing because it is new and will take some getting used to. But I’m here for you--and whenever you need support, whenever you need reassurance that you are wonderful and just as important and worthy as everyone else, you can come to me and it will be my pleasure, to be with you, listen to your feelings, and give you support; because I love you and enjoy you, and want you to learn to feel good about yourself. We acknowledged your little girl’s feelings from the beginning. We acknowledged what she was going through, the feelings she had, and how it made her feel about herself. Then we offered her a new way to think about herself, a positive way, and we offered her unconditional love and support. This didn’t entirely heal her, but it was a good and healing thing for her. I’m sure you’re noticing that I’m talking about her as if she’s alive and real. Well, she is. She’s alive and real within you. And when you acknowledge her and offer her love and support, you take another step in the healing process. The first step is to offer compassion and empathy to an imagined child who went through much of what we went through as children. That’s not so hard. That exercise can make it easier to see our child selves as worthy of the same compassion and empathy. Step three is to bring that love and support to our childhood selves and when we do, we heal our inner child and strengthen our compassionate and now, more resilient adult. This way of thinking and the exercise will support any therapy you are doing. It can continue your after-therapy growth, and it can be something you do, just for yourself with or without therapy. Just so you know, most clients are very anxious about doing an exercise like this. But when they do it, they are relieved and they love it. Just a word of caution; if you come from a highly traumatic background, then doing this with the support of your therapist who will advise you about when and how to engage an exercise like this will be important. Thanks for responding to my request for reviews on iTunes and, a few more would be greatly appreciated. And remember to take care of yourselves. You need it. You deserve it. You’re worth it. Bye for now. ← How Do I Not Take This Personally?